Bloomingdale’s has decided to fight against crafty shoppers who buy special occasion merchandise only to return it after a single wear. The store is now attaching what they call a “B-tag” to dresses in visible spots, like hemlines. Once removed, a dress will be rendered nonreturnable under new conditions outlined by the national retailer. The B-tag, first reported by Bloomberg on Tuesday, has been attached to all dresses retailing for over $150. The associate also said that the device is being used at all of Bloomingdale’s nationwide outlets. Bloomingdale’s e-commerce business has also picked up on the practice. Online “details” indicate when items will be delivered with a B-tag attached. “Please note that this dress will be delivered with a black B-tag attached, with instructions for removal included. If the B-tag is removed, the dress cannot be returned,” reads an online descripton for a French Connection “opal sequin” dress. The B-tag is a rudimentary piece of black plastic that resembles many of the store’s electronic security tags in bulk and size. The tag is not, however, electronically charged in any way. Its teardrop shape and bulbous nature would make it difficult to wear a dress with it still attached. In this way, the B-tag tactic will likely prove very effective. 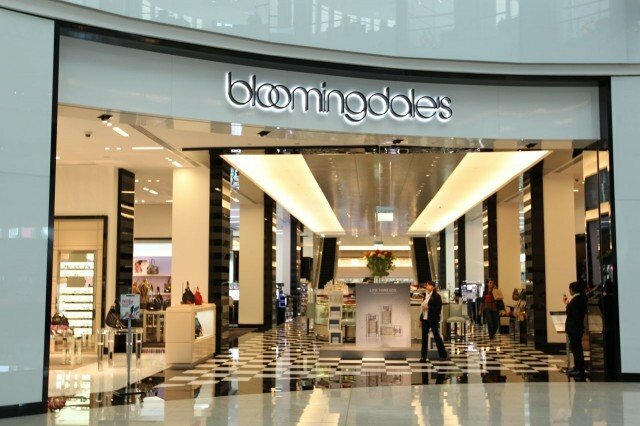 Bloomingdale’s said in a statement that the B-tags “are in place to reinforce the fact that Bloomingdale’s will be unable to accept a return of merchandise that has been worn, washed, damaged, used and/or altered”.